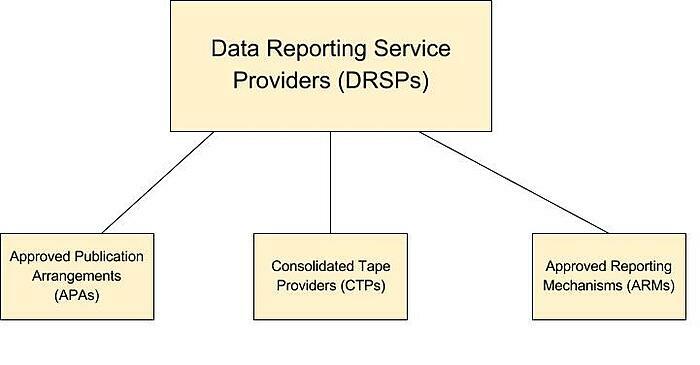 detailed the following approved mechanisms, collectively called Data Reporting Service Providers (DRSPs). So what are the differences between each? Approved reporting mechanisms (ARMs) - the service of reporting details of transactions to competent authorities on behalf of investment firms. Approved publication arrangements (APAs) - the service of publishing post-trade transparency reports on behalf of investment firms. Consolidated tape providers (CTPs) - the service of collecting post-trade transparency reports of specific financial instruments from regulated markets, multilateral trading facilities, organized trading facilities and APAs. They then consolidate these reports into a continuous electronic live data stream providing price and volume information per financial instrument. Which of these listed DRSPs are most important to brokers? Brokers will primarily be more involved with ARMs and, to a lesser extent, APAs. 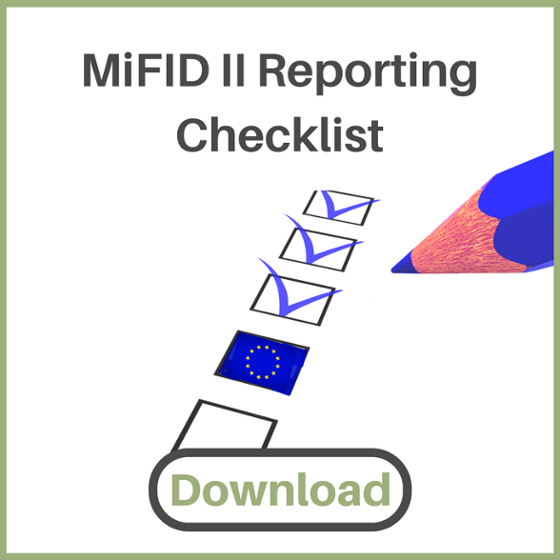 Among the MiFID II / MiFIR reports, the T+1 Transaction Reports that are submitted to an ARM, or directly to a regulator, rare required by most brokers. 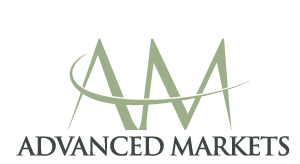 To help prepare for the submission of these reports, ARMs provide templates to their customers. A template will include the field names and explanations of the specific data that is required. Once submitted, the report is then validated by the ARM to check for errors, such as incorrect syntax and the reporting of traders that aren’t under scope. Unlike the Transaction Reports that are submitted to an ARM on a T +1 (next business day) basis, Post-Trade Transparency reports (better known as Trade Reporting) need to be submitted in near real time. The reports themselves also contain much less information than what is required in the Transaction Reports. Due to the frequency of Trade Reporting requirements, and the different data field formats compared to Transaction Reports, APAs were created as specialized entities to handle submitted data. 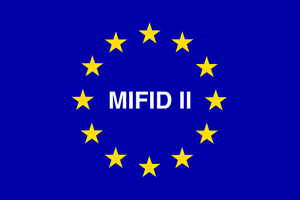 MIFID II introduces a requirement that the provision of data reporting services (DRSs) must have prior authorization (or verification, in the case of operators of trading venues providing data reporting services) by the home Member State competent authority. FCA now formally accepts DRSP applications and all the firms that apply should be expecting an approval turnaround time of around 6 months. In the UK, the authorization fee to operate a DRS is £5,000 for the first application and a discount of 50% for each additional DRS application. The discount applies whether the applications are made at the same time or later. The fee is not refundable. There is an application fee of £100,000 for firms seeking to become an ARM. CySec has also recently made an announcement that firms intending to seek registration as a DRSP in Cyprus, should inform CySec of their intentions by 30 September 2017.